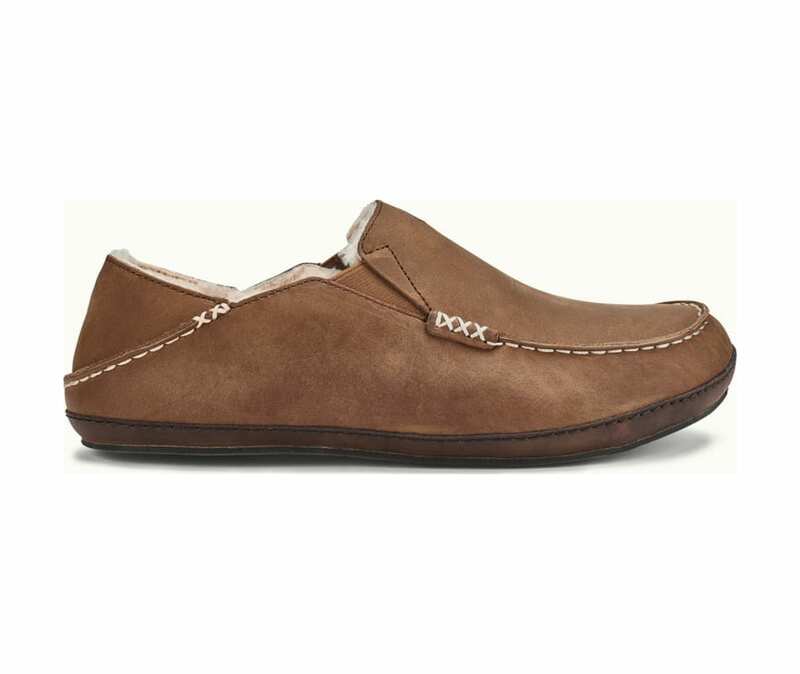 The Moloa Slipper is the purest form of laid-back luxury - soft nubuck, warm shearling, and OluKai's signature comfort.Versatile Drop-In Heel for shoe or slide functionality. Genuine sheepskin lining, embroidered logos, and hand-sewn moccasin toe. EverFit contoured footbed. Merino wool blend cover. Removable. Non-marking natural gum rubber outsole with buffed finish. Laser-etched logo. Versatile Drop-In Heel offers both a shoe and slide functionality.